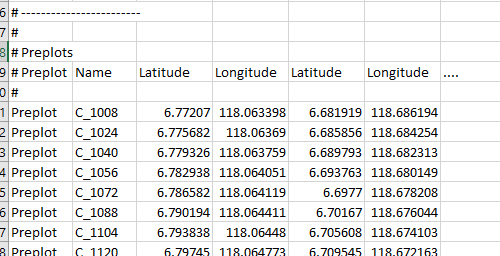 Sequence start and end coordinates can now be displayed in latitude and longitude in the Sequences Table. The new columns are EO Lat, Lon and E1 Lat Lon. They can be turned on by: Right-click on any Sequences table column header -> Choose Columns -> tick the appropriate columns in the Select Headings dialog. The preplot outline is an automatically-generated outline that surrounds the set of preplots in a 3D survey. This outline (or outlines, in the case of irregularly-spaced or separate groups of preplots) can now be exported as as a polygon(s). Preplot outline export is available in all export formats that support polygonal object exports. To export the outline, set Export Preplot Outline to True in the Objects section of the export dialog. 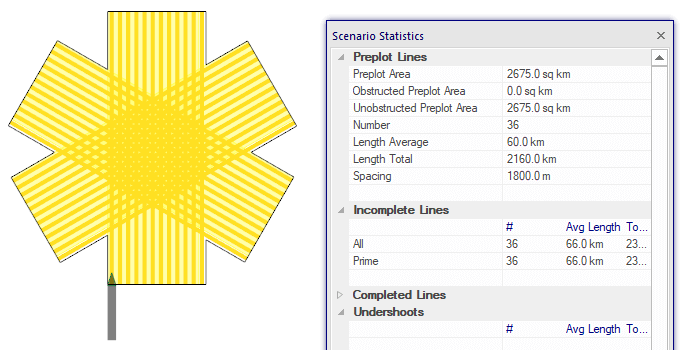 Prior to 3.8.1, survey preplot area was calculated using: (sum of preplot lengths) * line spacing. The was accurate for most 3D surveys, however the resulting statistic was too large in cases where one or more preplots overlapped. Survey preplot area is now calculated by finding the polygon that covers the set of preplots and that extends to 1/2 line spacing outside the outermost preplots in the crossline direction, and finding the area of that polygon. Visually, this area will match the Preplot Outline. ESRI Maps is now available as an Online Maps export format. This adds to the existing Google Maps and Bing Maps format choices. Google Maps has recently introduced a requirement for all users to obtain an API key. If you do have such a key, it can be stored in the Export dialog. ESRI Maps does not require an API key. The Show In Online Maps toolbar icon will now export according to the most recent settings saved in the Online Maps section of the Export dialog. Preplots are now available in Seisintel CSV format exports. To export preplots in this format, set Geometry to True in the Preplots section of the Export dialog. Usability: Each new background image layer is now automatically named, rather than waiting for user input. Usability: Labels can now be imported from DXF files. Usability: Header lines added above each record type in Seisintel CSV exports. 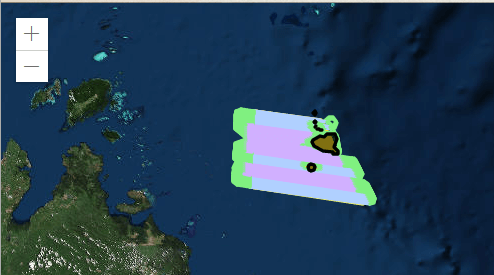 Usability: Fold map is now rendered more smoothly when zoomed out. Usability: Fold dialog broken into tabs, to better fit in small screens. Usability: Preplot outline now factors in line spacing: Outline extends to 1/2 line spacing beyond the outer preplots in the crossline direction. Usability: Choice of receiver numbering in P190 export options: Choose to either continue numbering between streamers within a shot point, or reset to 1 at the start of each streamer. Fixed: If a project is open when commencing the New Project Wizard, cancelling the wizard does not return the user to the previous project. Fixed: Sequence export fails when shooting plan starts with a zero-length line change. Fixed: Intermittent crashes when attempting to complete a line, if completed sequence display is off. Fixed: Deprecated master line width toolbar icon still visible in toolbar. Fixed: Vessel Safe Draft always described as 0m on Object Properties – Avoidance dialog. Fixed: CMP width calculation wrong in the case of three streamers with two sources.